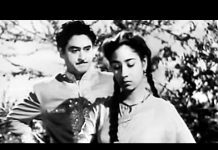 Movie: This song appears in the 1961 movie Chhaya (Shadow), produced by A V Meiyappan and directed by the legendary Hrishikesh Mukherjee. The star-cast included late Sunil Dutt, Asha Parekh, late Nirupa Roy, late Nazir Hussain, late Lalita Pawar and Mohan Choti. Manorama (Nirupa Roy) goes to Lucknow with her infant daughter after her husband’s death, searching for her maternal uncle. Then she finds that her uncle had sold the house and expired. At that time, she does not know what to do and has nowhere to go. Her daughter becomes sick because of the lack of nutritious food and shelter. Desperately, since she does not have any other alternative, she leaves her at the entrance of a wealthy man Seth Jagatnarayan’s (Nazir Hussain) house. Having no children Jagatnarayan adopts her and calls her Sarita. Manorama comes to the man’s home after a few days and gets the job of her own daughter’s nanny. Jagatnarayan decides to go to Bombay (Mumbai now) to start a new life and hide the fact that Sarita was an adopted child. Manorama accompanies them to the new city. There they are joined by his cousin sister (Lalita Pawar) and naïve son Lali (Mohan Choti). Sarita grows up and becomes a carefree, beautiful and intelligent young girl under the care of her father and nanny. A poor young man, Arun (Sunil Dutt) is appointed as a tutor for Sarita. Sarita is a fan of the poet Rahee, which is actually the pen name of Arun. Sarita wants to meet her idol and Arun says that he is his best friend but would never help her meet him. Sarita finds another way to meet him, i.e. through her friend, Jia. Jia’s uncle (Asit Sen) happens to be the publisher of a magazine in which Arun writes as Rahee. One day, Sarita is told to meet Rahee on the beach. She gives Arun the excuse of a friend’s birthday for going out. And when he arrives he hides behind a tree. Sarita goes to a movie one day and sees Arun with his sister and misunderstands him. On her birthday, many people are invited and she insults him, as he extends a small gift for her. She also requests him to sing this song. Song: The lyrics of this song were penned by Rajinder Kishen and music was composed by Salil Chaudhury. The man says, “Why did you drop me like tears from your eyes? 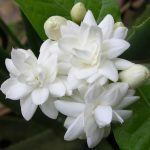 Why did you destroy the pearls of someone’s love?” He goes on to say that he is a poor flower, which could not bloom in the garden. Video: Cinematography is by Jaywant Pathare and T.B. Seetaram. 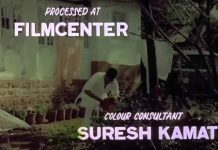 The video opens with Ashim Kumar, who plays the role of Asha Parekh’s piano teacher, announcing that he and Asha Parekh would perform a dance. The dance ends abruptly in the video and the music slows down. Sunil Dutt comes forward to sing the song. He begins the song. Asha Parekh is surprised. Nirupa Roy watches them from the first floor. All through the song, Sunil Dutt keeps standing in the middle of the gathering, without much movement. Asha Parekh keeps looking at him mesmerized and he keeps smiling at her. Lalita Pawar is not very happy with the performance. The song peters out and the video ends, as the people applaud the performance. Artists: The playback singers are Talat Mahmood. Onscreen performances are by Sunil Dutt, Asha Parekh, Nirupa Roy, Lalita Pawar and Ashim Kumar. Cultural Influence: This is typically filmi sad song where the hero asks the heroine, why she had broken his heart. The song and the artists are very good. The video is watchable for the same.